I read a piece published in The Guardian the other day eloquently extolling the pagan roots of Easter. It made all the tired connections and presented them as new: nothing about Easter is truly Christian, pagan gods and goddesses were dying and being resurrected all the time, Dionysus was born on 25th December, Eostre was an Anglo-Saxon goddess and the Easter bunny her mascot, and so on. And much of it is true, although the scholarship behind one or two of the claims is a bit suspect. What it neglects is the difference. The Christian Easter proclamation that “Christ is Risen” is unlike all the pagan stories because it is an event which is described as happening in a particular place and at a particular time. None of the other legends say “This happened in history, and these people were the witnesses”. Now we can tie ourselves in knots if we start to try to pin down what actually happened in the Resurrection, although I, for one, believe in the empty tomb and the physicality of the risen Christ. The fact remains that a group of dispersed and frightened disciples suddenly found the strength and courage to proclaim that a man that they had seen die was now alive, and that they had eaten with him and met with him, and that God had appointed him as Lord and Saviour. CS Lewis was wont to say that if the story is true and God has woven Resurrection into the heart of the creation story, then we would expect to see echoes of it in all story telling and myth making, because it is part of fundamental reality. Nevertheless, the truth of the Resurrection is ultimately based on our own experience and witness to the Risen Christ in the encounter of our hearts and our lives. If our lives manifest change, that is the biggest evidence that there is something in the Christian claims. I pray that as you celebrate the Great Feast, so you may encounter Christ afresh in your prayers and in your life, so that the light of Christ, rising in our hearts may illuminate and rule all things. One of the glories of Anglicanism, I believe, is its diversity. In a similar way, our Porvoo partner, the Church of Norway prides itself on diversity of worship, and a friend of mine, a former Dean of Trondheim, was telling me recently about a practice in his local Deanery of Olafolpir. They nominate one Sunday a year when all churches swap their vestments, so that a more Catholic parish using vestments can experience worship in a more protestant form, and more “low church” parishes can experience the full splendours of chasubles and ritual etc. in their celebration of the Eucharist. I was so taken by this idea, that I have decided to nominate Pentecost Sunday this year as “Swap a Stole Sunday”. Michael and Siân have been busy in the office, and we have paired every Church in the diocese with a local church of a different tradition, so that on Pentecost, when the disciples spoke in diverse tongues, we can celebrate our Eucharists in a manner a little different from the usual. You will be expected to trade your chasubles for your surplices and scarfs, and vice versa, and we’ll want the photos for Teulu Asaph! Please telephone Siân as soon as possible, and this morning if you get the chance, to find out who we have paired you with for what I hope will be a very jolly occasion. This Policy supersedes the blue book “Children and Young People: A code of practice for use by parishes in the Church in Wales” dated November 2007 and also the red/pink book “Ministry with Vulnerable Adults” dated May 2010. The Safeguarding Policies for children, young people and vulnerable adults are now amalgamated into one over-arching document which I am sure will make it easier for everyone to reference. This new Safeguarding Policy will supersede the current Policy (as named above) on Monday 11 April 2016. I would be grateful if you could inform all your relevant personnel within your mission areas / deaneries, and in particular the Parish Safeguarding Co-ordinators, that this Policy will be available from 11 April 2016 and this is the only Policy which should be referred to for all Safeguarding queries and concerns in the future. Thank you for your commitment to Safeguarding in the diocese and look forward to our continued relationship working within a Safe Church. I am pleased to announce that I am intending, under God, to ordain four candidates to the diaconate at Petertide. Dorothi Evans will serve as an NSM assistant curate in the Deanery of Penllyn & Edeyrnion, Juliet Fraser will serve as stipendiary assistant curate in the Parish of Rhyl, Ann Hooper will serve as an NSML (Non-Stipendary Minister Local) assistant curate in the emerging Mission Area of Holywell, and Yvonne Pryce will serve as NSML assistant curate in the emerging Mission Area of Alyn. With God’s blessing, they will join Phil Carey, currently serving in the Parish of Rhosllanerchrugog, Glyn Jones and Ivor Hawkins, currently serving in the emerging Mission Area of the Banw Valley, and Peter Heaney, currently serving in the emerging Mission Area of the Tanat Valley, who will be ordained to the order of Priests. Jonathan Skipper will be moving to a second curacy as an NSM in Berriew in the near future. We wish Jonathan well as he begins a new chapter in his ministry. I am very sorry to record the death of Ron Matthias, a faithful priest of this diocese and servant of God. Ron died peacefully on 11th March, and our thoughts go to Glenis and Rex Matthias and all the family. Ron’s requiem was earlier this week. Our condolences also go to Lorraine Badger Watts, and her husband, Carl, whose father died unexpectedly on Holy Saturday. Please remember John Badger, and all his family, in your prayers. Please note these dates in your diary, commend them in prayer, and be encouraged to join us where appropriate. Some dates are part of the professional expectations of the clergy, and you are asked to take careful note of these in order to avoid future diary clashes. I always try to give as much notice as possible where there are important dates for the diary, and if we don’t list them here, I don’t expect your attendance, although it is always nice to see you at any event or service. If a date is listed here, then please don’t tell me at a later date that you didn’t know about it! 11th April Induction of Dot Gosling to Llanasa and Ffynnongroew, SS Asaph & Cyndeyrn, Llanasa, 1900hr. 17th April Licensing of Lorraine Badger-Watts as Vicar of the Gorsedd Group, at SS Mary & Beuno, Whitford, 1530hr. Please note the change of time. 24th April Pool Deanery Confirmation, St Beuno’s Church, Berriew, 1500hr. 7th May Friends of the Cathedral Eucharist for St Asaph’s Day, 1100hr followed by lunch & AGM, at the Cathedral. 19th June Ordination Anniversaries Service, Cathedral, 1100hr. 25th June Petertide Ordination, 1000hr in the Cathedral. The retreat conductor and preacher will be Bishop Jack Nicholls, former Bishop of Sheffield. 3rd July Wrexham Mission Area Confirmation, St Giles’ Church, 1500hr. 18th September Alyn Deanery Confirmation, St Mary’s Church, Brymbo, 1500hr. 8th October Diocesan Conference, St Joseph’s School, Wrexham. Please note the change of venue. 16th October Mathrafal Deanery Confirmation, St Mary’s Church, Llanfair Caereinion, 1100hr. 20th November Hawarden Deanery Confirmation, 1500hr. The new prison in Wrexham, now called HMP Berwyn, is due to open in February 2017. The recruitment process has already begun for many of the roles within the Prison and is now about to begin for the Chaplaincy team. Prison Chaplaincy is a multi-faith environment and so the Governor will be recruiting Chaplains from a wide range of faiths including the Christian religions along with Muslim, Pagan, Buddhist, Sikh and many others. Some of the first vacancies to be advertised will include the Christian posts, including a full-time Catholic, part-time Anglican and full-time Christian, the later post being open to Anglicans as well as Christians from other denominations. 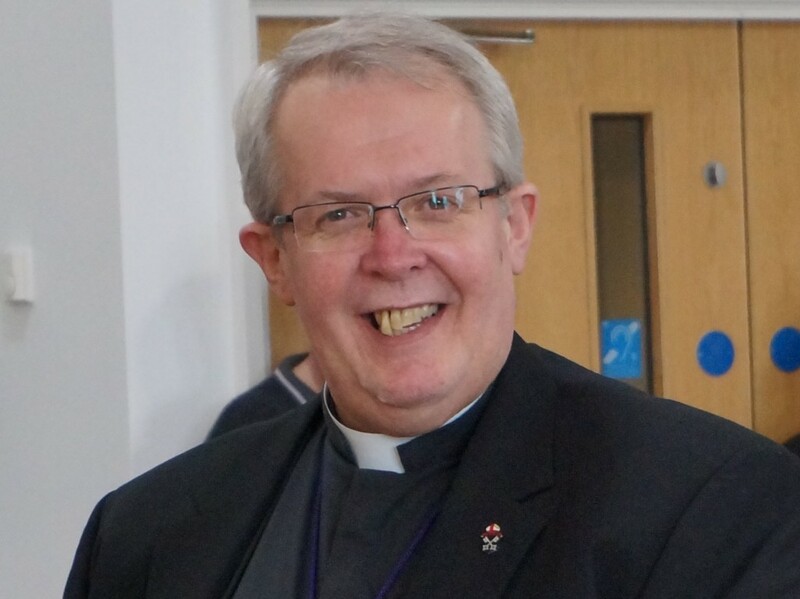 As you will know, the Managing Chaplain has already been appointed – The Rev Mark John but unfortunately Mark is currently on sick leave. His work is currently being covered by The Rev Alan Pierce-Jones, who is the Managing Chaplain at HMP Kennet in Liverpool. Please hold Mark and his family in your prayers. The jobs will be advertised via the Ministry of Justice Website. There is also a drop-in centre available at the Prison’s temporary office at 2 Grosvenor Road, Wrexham where there is more information about the posts available. Alan will be in Wrexham most Mondays for the next few months and is happy to be contacted to answer any questions. His email address is alan.pierce-jones@hmps.gsi.gov.uk. Alan has asked me to mention that even though the initial job adverts are for ordained priests, he would still like to hear from any deacons or lay people interested in working with the chaplaincy. Once the prison is functioning there will also be lots of opportunities for volunteers to assist at worship, lead study groups and provide general pastoral care. Again anyone interested should contact Alan. A last call for nominations for the Order of St Asaph in 2016 as we seek to recognise and honour the outstanding contribution of lay persons at diocesan level, particularly at an appropriate point on the completion of service in a particular way or in a particular role. 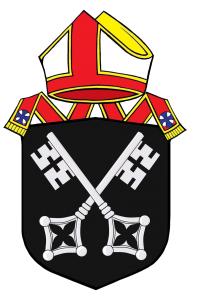 Admission to the order is marked by the presentation of appropriate insignia, and those admitted to the order are listed in the diocesan Yearbook. A nomination form is available from this office which should be returned completed with as much information as possible about a candidate’s contribution to the diocese. All members of the Teulu Asaff, whether clerical or lay, are encouraged to make nominations, which can also be submitted through any diocesan council or committee. Nominations forms should be submitted to me at Esgobty by the end of this month, and will be referred to the advisory committee who will meet in early May. It has been good to share with you in the celebration of Our Lord’s ministry, passion, death and resurrection once again these last few weeks. I trust that you’ll get a good break following Easter Day, and every blessing for you, your families and your congregations as we live out the fifty days of Eastertide.